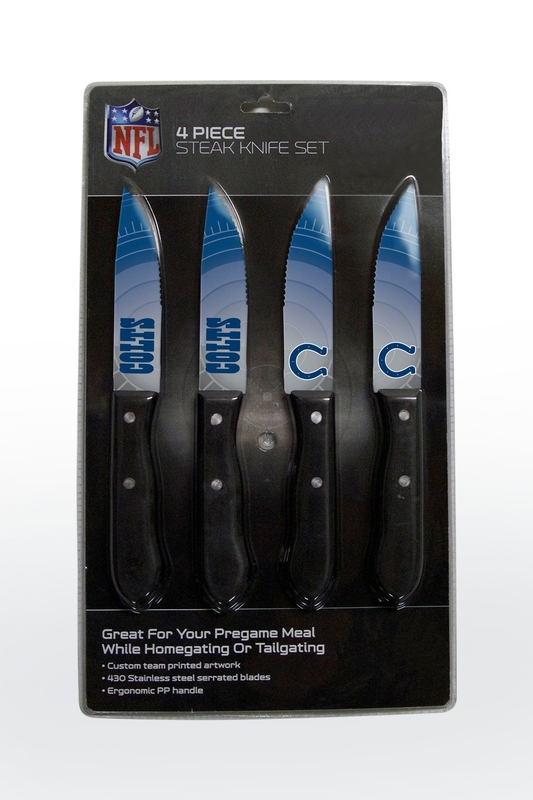 Take your enthusiasm for the Colts to new heights with the Indianapolis Colts Steak Knives Set of 4. 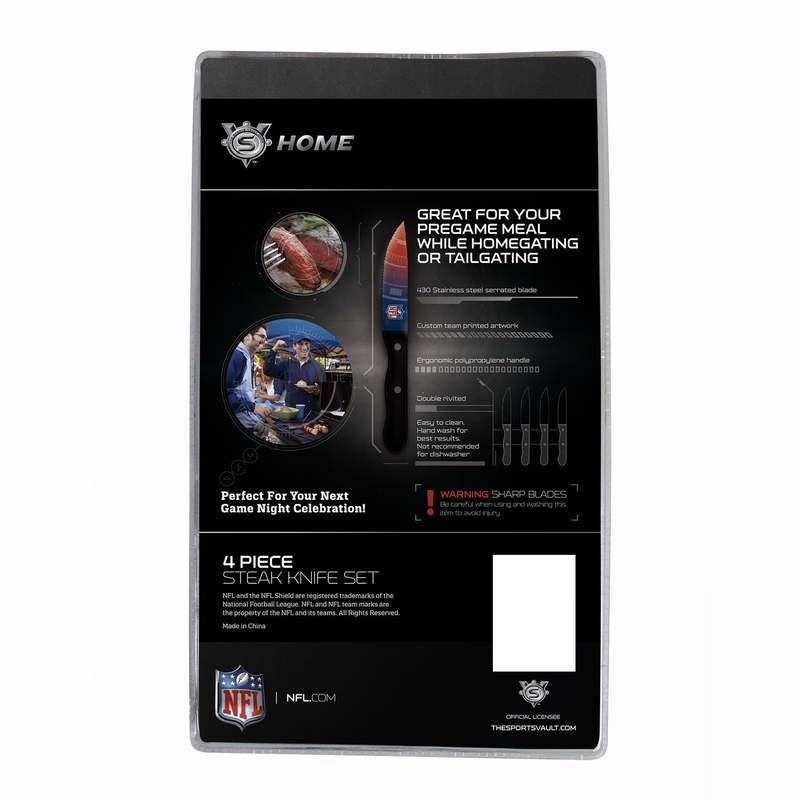 This Nfl officially-licensed flatware set features brilliant artwork on the blades and custom Colt colors on the handle. To protect the artistic integrity, each blade was dipped in surecoat. Whether you order the knives as a gift for a friend or for yourself, you will be sure to impress. Crafted with durable stainless steel, the blades are serrated and will never have to be sharpened. As an added bonus, the knives are designed with an ergonomically sound, no-slip, soft-grip handle. Each blade is affixed to the knife with two stainless steel rivets designed to last for the long run. 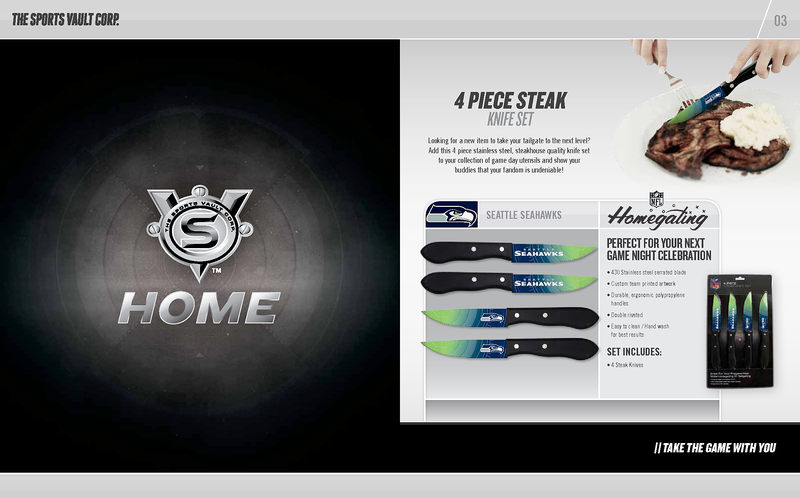 Order the Indianapolis Colts Steak Knives Set of 4 today.